Before the dust has even settled from the Boston Bombing, the city of New Orleans has just become the latest victim of yet another tragedy. A shooting has occurred during a Mother’s Day parade. 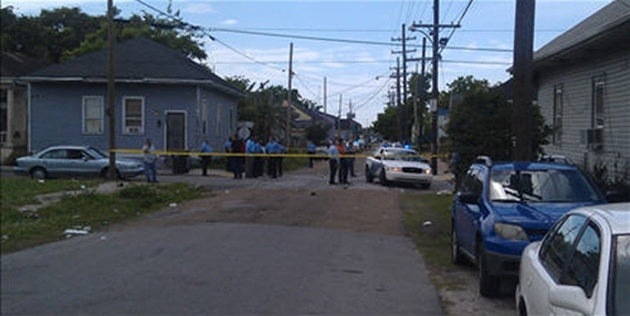 NEW ORLEANS (AP) — Gunmen opened fire as dozens of people marched in a Mother’s Day second-line parade in New Orleans on Sunday, wounding at least 12 people, police said. Police Superintendent Ronal Serpas told reporters that a 10-year-old girl grazed by a bullet was among those wounded in the shooting around 2 p.m. She was in good condition. He said three or four people were in surgery but their conditions weren’t known. No deaths were reported. Serpas said that the procession had been accompanied by officers, who saw two or three suspects run from the scene in the city’s 7th Ward. The Times-Picayune reports there were about 200 people at the event when gunfire erupted. Nobody has been arrested. It’s unclear what sparked the gunfire. A social club called The Original Big 7 organized Sunday’s event. No deaths reported as yet which is lucky but strange at the same time. What’s worse is that no arrests have been made. Does this mean no suspects? Did no one see the shooter? More details will surface as it unfolds. Remember… QUESTION EVERYTHING! Hey General – Is there any more info on what happened with this shooting? I haven’t really heard much more…. conincidence? Yeah it appears to be non-terror related. But no motive has been established.